Hello and welcome exampundit. 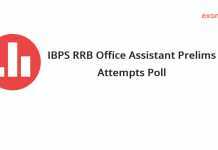 Today we are sharing the IBPS PO Prelims 2018 Attempts Poll for aspirants. 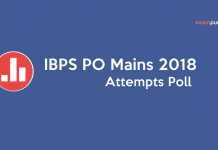 Please take the Attempts Poll so we can share the average attempts in IBPS PO Prelims 2018.